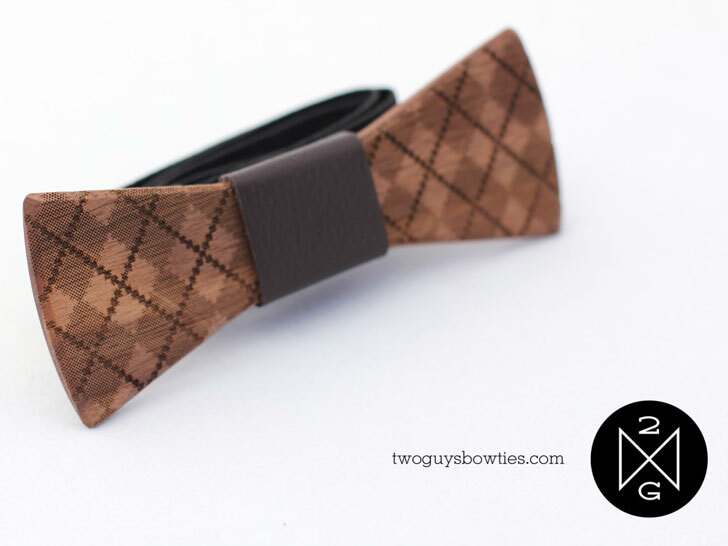 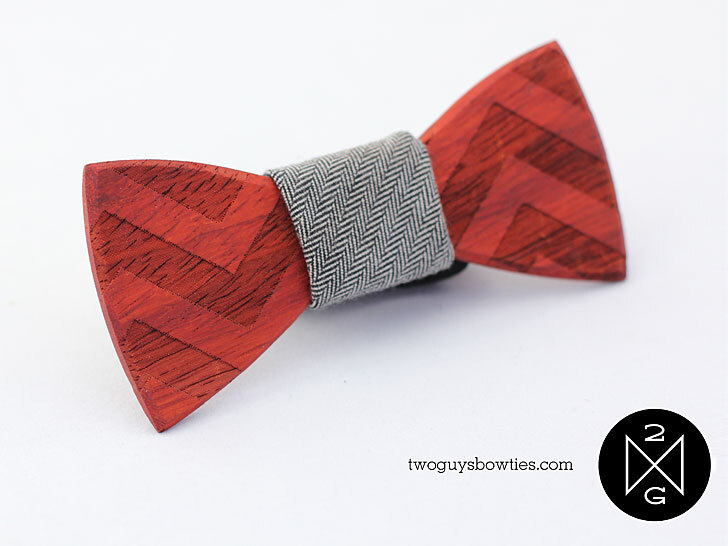 <p /> Two Guys began when, well, <em>two guys</em> named Adam Teague and Tim Paslay came up short in their quest for the perfect bow tie. 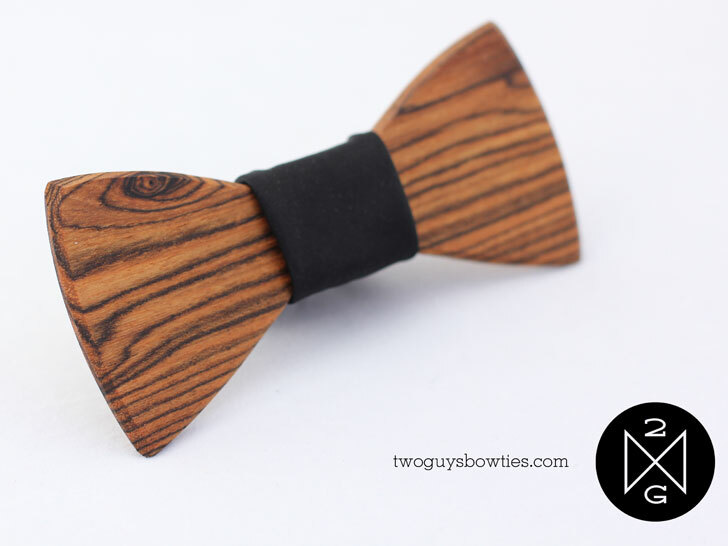 <p /> Turning to wood was a "natural adaptation" for them, Teague and Paslay tell Ecouterre. 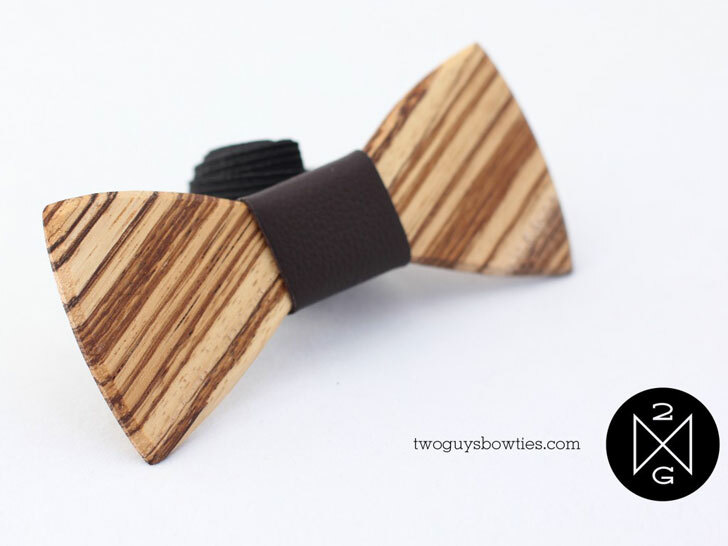 <p /> "We both have built things out of wood for years and it seemed like the perfect opportunity to use some sophisticated tools and techniques to create something we would love to wear." 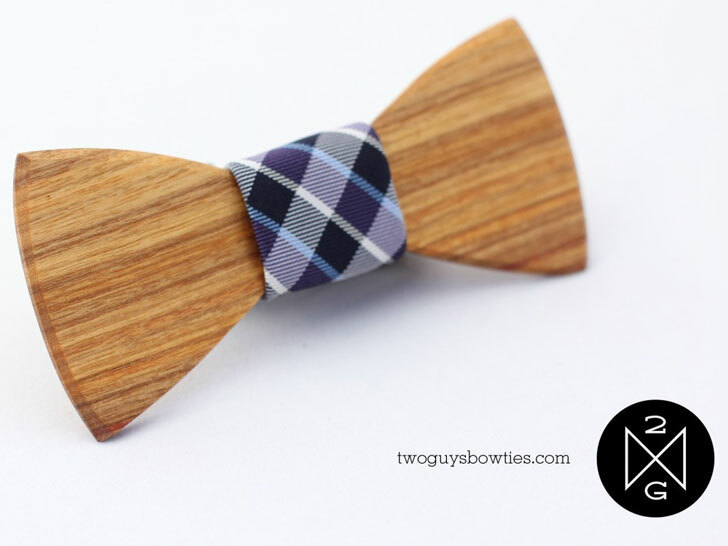 <p /> The ties, which begin at $45, come in basic, premium, and limited editions, depending on the wood used and the complexity of the design. 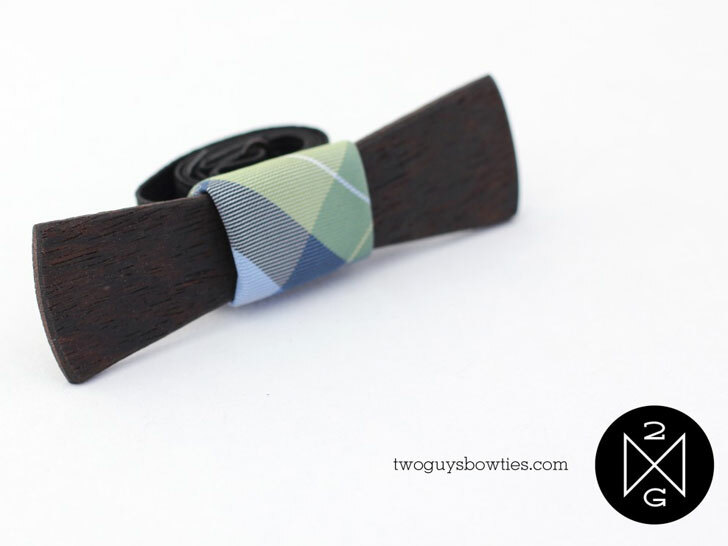 <p /> Centered on every tie, in lieu of a knot, is a swatch of contrasting fabric, one that might even have been part of a <a href="http://www.ecouterre.com/5-ways-to-recycle-an-old-necktie-into-a-last-minute-fathers-day-gift/">vintage necktie</a> in a previous life. 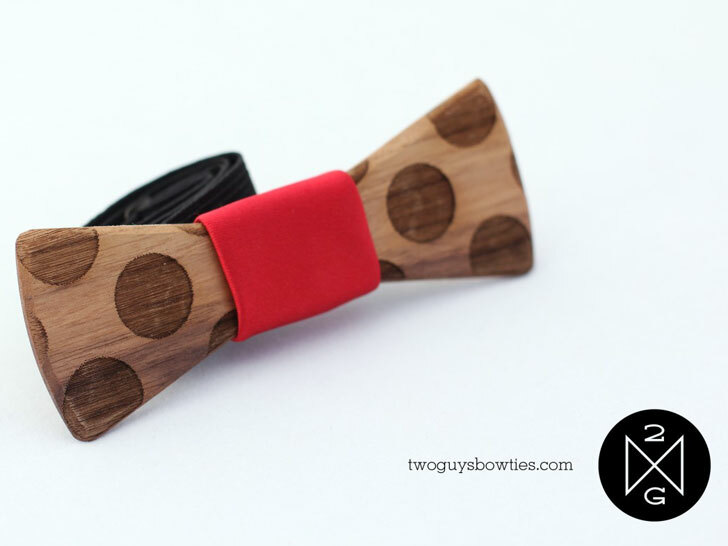 <p /> Two Guys also creates custom ties for weddings and other special occasions.